So far in 2015, Evanston houses stayed on the market for an average of 55 days, while houses in Wilmette were closed within 34 days. Considering that the amount of houses fitting all categories for both Evanston and Wilmette were the same, this is a significant difference, pointing to Wilmette as having higher demand and thus quicker Real-Estate movement. Besides averages, however, exactly how fast are these properties being sold? The charts below show the distribution of these (closed) houses based on how many were sold within different time intervals. The colored legends specify 6 periods: houses sold within 1, 2, 3, 4, and 5 weeks, as well as houses that stayed longer than 5 weeks in the market (numbers represent days). We can spot a significant increase in properties sold within 1 and 2 weeks at Wilmette, which seem to easily outnumber its Evanston counterparts. In Chicago, market movement seems to synchronize perfectly with spring, blooming at around March. Data clearly shows that seller surplus (price of sale minus listed price) is highest during March and April. Wilmette’s market lines up accurately with the overall Chicago movement, while Evanston’s house sales seem to peak a little earlier. *In the graphs above, all Months are from 2015. “0” here corresponds to December 2014. 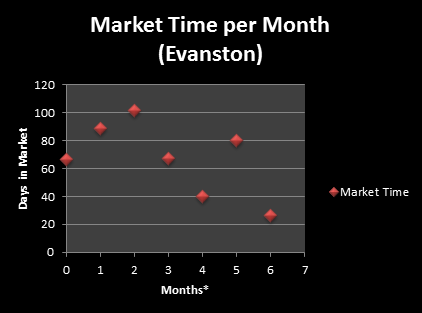 Another interesting observation is how Wilmette’s home movement seems to be more stable than Evanston’s, which has been oscillating since the beginning of the year. 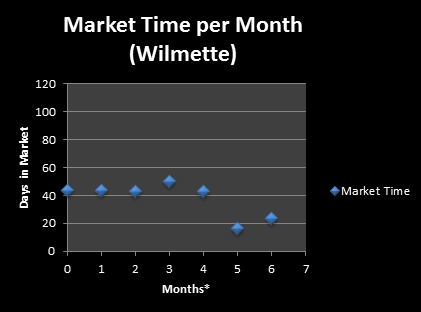 Up until April, most homes in Wilmette had been in the market for around 45 days before being sold; this changes drastically in May when properties seemed to start moving very rapidly. 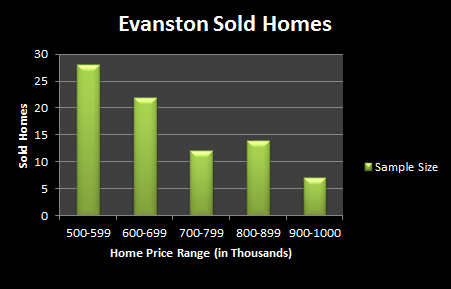 Evanston’s home movement seems even more dynamic when we take a look at sold houses per price range. Most of these properties fall into the $500k to $699k range. 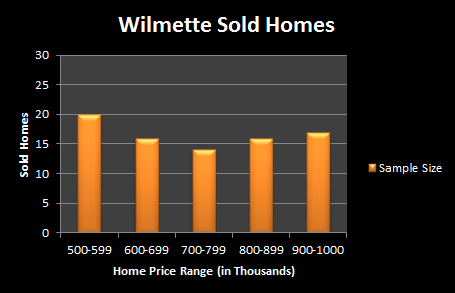 Contrastingly, Wilmette looks much more stable and centered at the higher price range of $700k-$799k. How Do 3 Of The Top Chicago High-Rises Compare? © Paulgorney.com 2019. All Rights Reserved.